Emerging from the long running Moruya Jazz Festival, Granite Town began in 2014 as an ambitious 3 day event showcasing some of Australia’s finest live music, a range of local talent, and commencing with the spectacular ‘Riverlights’ floating lantern parade on the Moruya River. 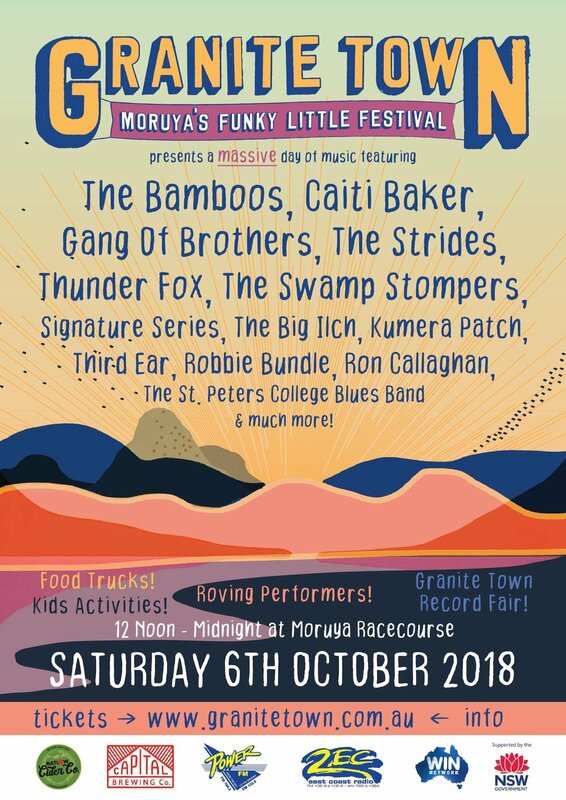 Organised by the volunteer Granite Town Committee, the festival is a community run event with a focus on bringing world class music to our usually quiet country town, Moruya, on the beautiful South Coast of NSW. In 2017, with the Riverlights lantern parade no longer running, the festival moved to a new venue, the Moruya Racecourse, and a one day format. The racecourse proved an excellent venue for a music festival, surrounded by forest, not far from the beach, with large covered areas, a spacious grassy sloped festival ground so everyone has a good view of the stage. We will be returning to the Racecourse for the 2018 festival on Saturday 6th October. Granite Town is fun for young and old, we aim to deliver a family friendly festival, with a carefully selected lineup of the cream of Australia’s musicians. Expect funky brass sections, sweet soul music, a dash of reggae, fat beats, local talents, original compositions, and good time party pleasing sounds. Founded in Melbourne in 2000 by bandleader, producer and main songwriter Lance Ferguson, eight-piece powerhouse The Bamboos have continually redefined Australian Soul music and continue their reputation as harbingers of musical evolution. They have received five ARIA Awards and three APRA Music Awards nominations over their seven studio albums and have long been regarded as Australia’s best live bands in the country, regardless of genre, and have graced stages at key festivals such as Splendour In The Grass, Meredith, Bluesfest, WOMADelaide, Falls Festival, and Homebake. “I Got Burned”, the band’s initial collaboration with Tim Rogers in 2012, and the album it came from, ‘Medicine Man’, saw the band reach new heights. The song was voted #54 in that year’s Triple J Hottest 100. In 2015 Rogers and The Bamboos released the acclaimed ‘The Rules Of Attraction’ album, released by iconic imprint Atlantic Records. Marking their 15th year as a performing band, 2015 saw that release spawn another packed out tour as well as an ARIA Award nomination for ‘Best Blues And Roots Album’. The band has also collaborated with vocalists like Aloe Blacc, Megan Washington, Daniel Merriweather and Alice Russell. But with one of the country’s most powerhouse vocalists, Kylie Auldist, as a long standing member, guests just add further magic to what’s already an incredible band, both live and in the studio. Millions across the world are now familiar with the guitar playing of bandleader Lance Ferguson and the vocals of Kylie Auldist, thanks to them being featured on the global smash single “This Girl” by Kungs Vs. Cookin’ On 3 Burners. The remix by the French producer of the 2009 track by the Melbourne trio that Ferguson played with at the time, has been a platinum seller and hit #1 in numerous countries around the world. In addition it was also nominated for ‘Song Of The Year’ at the 2016 ARIA Awards. Amid a glut of revivalists re-treading the retro waters The Bamboos have carved out a signature sound that embraces classic and current influences whilst weaving them into something altogether brand new. Eight-piece powerhouse The Bamboos have continually redefined Australian Soul music and continue their reputation as harbingers of musical evolution. Caiti Baker, a vocalist and front woman raised on the sounds that birthed popular music, released her debut album ZINC on October 6 2017. Born into a household filled with vinyl, CDs and tapes of blues, soul, gospel, jazz, big band and rock & roll, Caiti’s father, a blues musician himself, made sure that she was raised amongst music. Whether it was playing on the stereo, in the car, at a concert or attending week long festivals – music was everywhere. As a child, Caiti developed a love and appreciation for the pioneering music but was drawn obsessively to Hip Hop, R&B, New Jack Swing and Neo soul. After being given an 8 track digital recorder, she learnt how to write and record songs on her own from the age of 12. Inspired by the greats like Aretha Franklin, Big Mamma Thornton, Billie Holiday, Nina Simone, Etta James and Little Walter; Caiti began to take notes on Missy Elliott, Aaliyah, Destiny’s Child, Lauryn Hill, Janet Jackson and Faith Evans. She got better at writing and singing and formed an electro-soul act with bass player and producer James Mangohig in her early 20s called Sietta. Together they toured nationally and internationally, supported some great acts, played many festivals, released 2 EPs and 2 albums which had a few songs that got some air play on a few great radio stations. In the later months of 2014, Caiti decided to step out on her own. A catalyst for doing so began with the reunion between Caiti herself and her father after a 4 year falling out. Upon this reunion, Caiti’s father gave her a USB sample bank of his original guitar licks, harmonica ideas and riffs which were recorded on his mobile phone. Passing the USB key to James Mangohig, who is now an ARIA nominated producer (Daniel Johns, Briggs), Caiti and James teamed up with ARIA award winning double bassist and producer Michael Hohnen (Dr G. Yunupingu, Tom E Lewis) to become a production force that no one can mess with. Together, the three of them have been writing, honing and recording songs that link 2 eras and a plethora of genres together to form a sound that is only unique to Caiti Baker. In 2015, Caiti signed to Perambulator Records in Darwin. She released her debut single ‘Heavy On My Heart’ in August 2016 to great acclaim and in January 2017, Caiti released her second single ‘Make Your Own Mistakes’. In August 2017, drawing nearer to the completion of her debut album, Caiti released monster jam ‘Wolf’ to many rave reviews. Following it up with the fourth single ‘I Won’t Sleep’, an energetic driving track about regaining her identity after recovering from having Chronic Fatigue Syndrome for 6 years. In the winter of 2015, she toured with and supported Dr. G Yunupingu on his Gospel Album Tour. Throughout 2016/17, Caiti has joined A.B. Original (Briggs and Trials) as a special guest on tour dates (Hilltop Hoods Restrung Tour, St Jerome’s Laneway Festival) and festival gigs. She is also a featured vocalist for A.B. Original, a backing vocalist for Briggs and is heavily affiliated with his record label Bad Apples. After debuting her music at the Darwin Festival (‘16), Caiti embarked on an extensive headline tour over 4 months down the east coast, followed by 2 support runs with Dan Sultan and Son Little (USA) where she was accompanied by guitarist Lindsay “The Doctor” McDougall. So far, In 2017, Caiti played (with great acclaim) at the renown world music festival Womad. She has also supported Australian chart-topper Guy Sebastian and American legend Booker T. Caiti can also be heard and seen featuring on a track with Briggs which was written for the NRL Fox League called ‘Here’. Together, Briggs and Caiti performed the song live at Brisbane’s SunCorp Stadium for the National Indigenous Round Game in May. Caiti also found time to hang out in the studio with Pete Murray to lay down some backing vocals for 2 songs on his long awaited album Camacho. Whilst back home taking a break from touring to finish her album, Caiti attended and performed at the NT Song of The Year Awards. Her first single ‘Heavy On My Heart’ won best Blues & Roots song whilst her second single ‘Make Your Own Mistakes’ won best Pop song as well as ‘Song Of The Year’. Caiti writes songs about what she knows and feels, sings with her soul and unashamedly performs the hell out of them. But that will all be obvious when you hear her music and watch her perform, which will have you either dancing or chilling with a grin on your face. Gang of brothers have been born into music. Brothers Andro, Dauno, Fenix and Banel Martinez hail from the prestigious musical Martinez Family (Martinez Akustica). Joining them on drums and lead vocals is brother Buddy Siolo, whose talents have taken him around the globe. Together they are GANG OF BROTHERS. Buddy Siolo has recently been drumming on tour with Australian pop diva Delta Goodrem, and soon to tour with Jessica Mauboy. Perhaps all this is due to the total passion, percistance and pure talent, Since a casual jam with singer and drummer, Buddy Siolo on December 1st 2011, the brothers have been inseparable on and off stage. festival of the Sun 2013, Beam festival 2013, Glebe street Fair, Auburn festival, NYE celebrations, Australia day celebrations to over 10000 people. Liverpool NYE multiple years with 20K+ crowds, Colombo Jazz Festival (Sri Lanka). Rhodes Fest (USA) 2015 support for The legendary Roy Ayers, and many more local festivals. Gang of Brothers is one of the premier bands in the Sydney live music circuit including venues such as The Basement, Blue Beat, The Annandale, Valve Bar, The Beach road hotel, Beaches hotel, Jam Gallery, Spring St Social, Sticky bar, The Newport Arms, The Argyle, Lazybones, to name a few. The Debut single “Get up on ya feet n Testify” Has hit number one in several online charts for consecutive weeks, and has been released worldwide on itunes on the 23rd of July 2013 with a Video clip. The Launch event was a full house at the Forresters in Surry Hills. Since then Gang of Brothers has released three other singles “Taking My Peace” , “She’s Gone”, “Going to the Pub” and “One More Round” which have received incredible response and likes on their video clips and downloads. A musical assault that crosses over genres, deeply funky and seriously Phat. Their culturally diverse and influential style digs deeper and deeper in the pocket of groove and rock! The Strides are a force for Reggae music in Australia and worldwide. Fronted by roots man Ras Roni from Barbados via London, Fijian MC LTL GZeus and Sierra Leonian ragga powerhouse Blaka C, The Strides deliver a musical experience that is as explosive as it is authentic. With three acclaimed albums under their belt and one set for release in early 2019, a European label signing, festival appearances across the country and having graced the stage with the likes of Third World, Julian Marley, Tony Allen and Groundation, The Strides’ music faithfully builds on the foundations of classic roots reggae with a hip-hop edge, forging a sound that brings together modern dance hall, dub beats and reggae-pop. After 10 years of touring, this world class 9-piece have become a reggae institution, melding a diversity of cultures and instrumentation under the one universal consciousness. 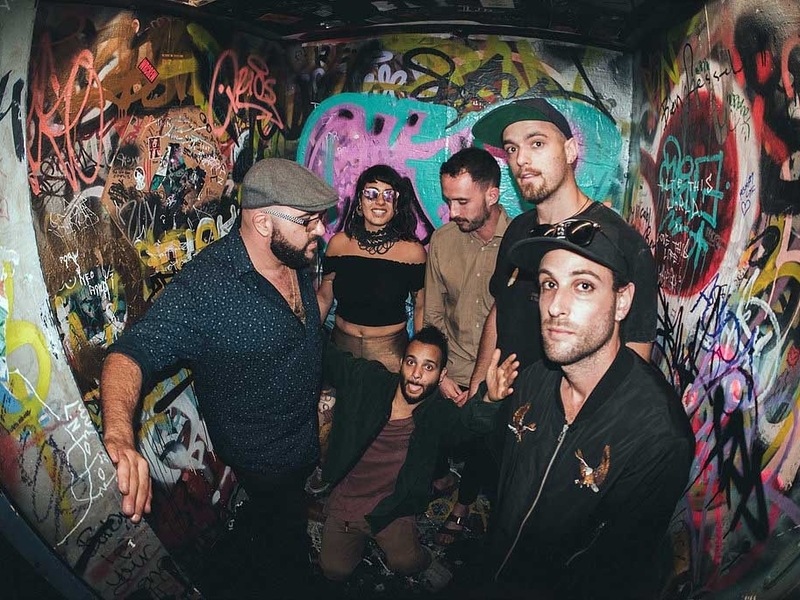 The Strides’ music faithfully builds on the foundations of classic roots reggae with a hip-hop edge, forging a sound that brings together modern dance hall, dub beats and reggae-pop. 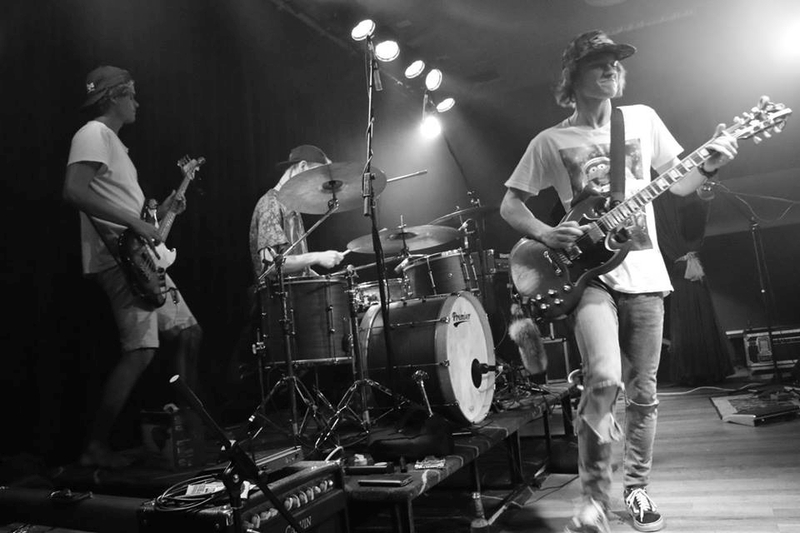 The power trio sounds like the musical lovechild of John Butler Trio, Red Hot Chilli Peppers, and Led Zeppelin, with three-part vocal harmonies, monster guitar riffs, and didgeridoo setting them apart from the pack. The band has received Triple J airplay in 2018, with their highly anticipated fourth EP dropping in September. The Swamp Stompers have been filling main stage festival tents across the country, including recent standout performances at Cobargo Folk Festival, so don't miss them in action! The Swamp Stompers play funky rock and blues with heavy grooves! Signature Series came together over a love of the classics of Hip Hop and the 70’s Samples. Front man Chico Mendez brought some of the key plays in the West End, Brisbane scene to combine these elements into a brand new sound for Australian live music. On stage, Signature Series have combinedthe Bada-Bing threads with their Hip Hop style. All, suits with Adidas kicks. Audiences highly engage with their custom-built TV music stand that plays a film clip along side the set, setting the tone for each track, be it getting chased by the cops, in “Here Comes the Fuzz”, to the seedy side of the city in “Corner of 4th& 58th”. Their cinematic sound is performed by an All-Star crew including horn section, live backline and unique samples. Signature Series are a shaken martini of Hip Hop, Blues, Classic Soul, Harlem Shuffles & Brooklyn Scuffles. Taking cues from Classic Hip Hop and combining with the Classic Soul of the 60’s Funk of the 70’s and the attitude of the Sinatra Rat Pac, Signature Series deliver a fun, musical and above all cool show. Emerging from the strong roots and reggae movement in Sydney’s Eastern suburbs, The Big Ilch is a project founded on the celebration of shared creativity and musical collaboration. Featuring soulful reggae vibes, easy grooves, world music beats, with a dash of hip hop and funk in the mix. With members hailing from Dominican Republic, Brazil, South Africa, Australia, Italy, England and regions of the Middle East, The Big Ilch is a melting pot of cultural creative influences and explosive energy. Their debut EP ‘Homeground’ (recorded at The Grove) launched in February to a sell out crowd at Sydney’s 505. The Big Ilch plan on further recording and touring through 2018, having already been booked for a number of festivals for spring/summer. From Bondi’s reggae scene, The Big Ilch is a melting pot of cultures and explosive energy. Featuring soulful reggae, easy grooves, world music beats, and a dash of hip-hop and funk. Local acts including Kumera Patch, Third Ear, Ron ‘Callo’ Callaghan and The St Peters Anglican College Blues Band, roving performers, the inaugural Granite Town Record Fair, and all the fabulous food trucks, fine beverages, kids activities and good times that Granite Town regulars have come to expect. 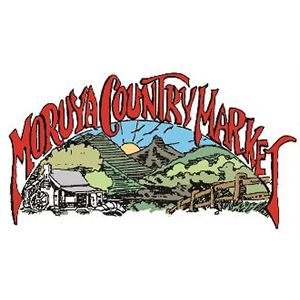 Moruya is on the beautiful NSW South Coast, South of Batemans Bay, North of Narooma. About 2 1/2 hours drive from Canberra, 4 hours from Sydney. Moruya Airport is directly opposite the festival site. The Festival is fully licensed and will have a fabulous range of food and drinks available. No outside food or drink is to be brought into the festival. No glass is to be brought into the festival. We will have water filling stations if you wish to bring an empty water bottle. All bags/containers may be subject to a full search. What are people saying about Granite Town? I have been to lots of festivals and none compare to Granite town! The music the vibe the atmosphere. Its chilled relaxed and happy you will make new friends listen to musicians that just blow you away with their talent. The food is good and alcohol reasonably priced. The event is well run with everything thought of. Trust me you DO NOT want to miss this!! “Loved it! Best venue, fantastic music (loved the local bands) & great food. Top all that off with good weather, good company & the very best of planning & running, makes for a wonderful festival. Can't wait for next year. Thanks Granite Town. A vibrant market held every Saturday morning, Riverside Park, Moruya. For the ultimate learn to surf experience in beautiful Broulee! Thrill seekers can check out the area from above! Take a walk along the spectacular coastline. Snorkelling tours, Stand Up Paddle lessons and Kayak hire. Explore the South Coast in style.